Pet Premium is a pet insurance company based in New York. The company strives to make pet owners more aware of pet health and provide affordable pet insurance. According to its website, only 3% of dogs have a health insurance policy. Therefore, the company works to educate the public, and pet owners, about the importance of pet insurance. This insurance company works with veterinarians to bring pet owners the most up to date information on pet health. With helpful articles written by experts, it seeks to strengthen the bond and trust level between dog owners and their vets. PetPremium has two main insurance policies that I’ll discuss in this review. As always, I also considered customer reviews, in addition to my research, to provide an overall rating for this pet insurance company. It took an extensive amount of research on my part to learn more about the company. Since it’s rather new and there’s not a lot of information about it on the internet, I wanted to make sure I provided accurate information for this review. Here are a few of the things I like, and dislike, about the company. This insurer has two plans. One is for accident-only coverage, and the other provides additional coverage for illnesses and specific treatments. You can also choose to add on preventative care coverage in the form of a wellness plan. If you want to have minimal coverage that will protect your dog in the event of an accident, choose the Accidents-Only Coverage. You’ll get reimbursed for high-cost medical bills for emergency room visits and treatments in the event of an accident. Your premiums will stay lower on this policy. For more coverage for illnesses or ongoing conditions, choose Total Coverage. You’ll have higher premiums, but you’ll also have more services reimbursed. I like that this company provides an optional wellness plan for preventative care. While other pet insurance companies don’t provide any options for routine and preventative care coverage, this company at least gives you the option. This coverage will reimburse you a specific amount per service. For example, under the basic plan, you can get $40 back per wellness exam and $15 back for a rabies vaccine. The advanced plan will pay you more, such as $50 per wellness exam. It will also reimburse you for services not covered under the basic plan, like dental cleaning and pest prevention. Both policies provide options to help you work your premiums into your budget. Your deductible can be $100, $250, or $500 annually. Also, you can choose a reimbursement level of 7-%, 80%, or 90%. Additionally, choose an annual limit between $2500 to unlimited. The options you choose will affect your monthly premium costs. Most pet insurance companies have coverage for high-cost services, like surgeries and hospitalizations, on even their basic plans. This company, however, doesn’t provide reimbursement for these services on its Accidents-Only plan. Instead, you’ll have to choose the Total Coverage plan to get these medical services reimbursed. Therefore, I believe the Accidents-Only plan is almost pointless. You may receive reimbursement for an initial emergency room visit if your dog was in an accident. However, your policy won’t protect you from the high costs of any surgeries, hospitalizations, or medications your dog may need as a result of the accident. Pet Premium Pet Insurance is rather new. That’s not necessarily a bad thing. However, it can be a concern for some prospective customers who want to learn about the business. I found it difficult to find any business information or reviews, which leaves me wanting to know more. It’s difficult to put a lot of trust in a company that isn’t very transparent. Your senior dog may have a difficult time staying on a policy with PetPremium. Dogs must be younger than 12 to enroll, so if you’re looking to enroll a﻿ ﻿﻿dog older﻿ than tha﻿﻿﻿t, you won’t be able to. “Continuing Care coverage age requirements and restrictions may vary”. Although the website doesn’t go into more detail, it’s worrisome. It sounds like a fancy way of saying that your dog may be dropped when it’s time to renew if he’s too old. I suggest asking a representative about this policy, specifically, before you sign up. This pet insurance company makes things pretty simple with its plans. There are two main plans to choose from: Accidents-Only Coverage and Total Coverage. Both plans offer the same reimbursement levels, deductibles, and annual limit options to choose from. However, as the name suggests for Accidents-Only Coverage, you’ll receive coverage only for unexpected accidents. So, if your dog was hit by a vehicle, you’ll get reimbursed according to your reimbursement level for medical bills associated with it. Plus, you can get reimbursed for ongoing care related to the accident. With the Total Coverage policy, you’ll get a lot more coverage. In addition to accident coverage, you’ll also get reimbursed for illnesses, hereditary and congenital conditions, and behavioral treatments. This insurance is one of the newest on the market. This isn’t necessarily a negative thing. Instead, what concerns me is the lack of information on the company. Even newer companies can make themselves transparent by providing plentiful information about the business on its website. I’m also concerned about the lack of coverage for the Accidents-Only policy. I don’t feel that it covers enough services to be worthwhile to dog owners looking for a way to stay protected in the event of an accident. However, I do like that the company provides an optional wellness plan for dog owners who want preventative and routine care coverage. 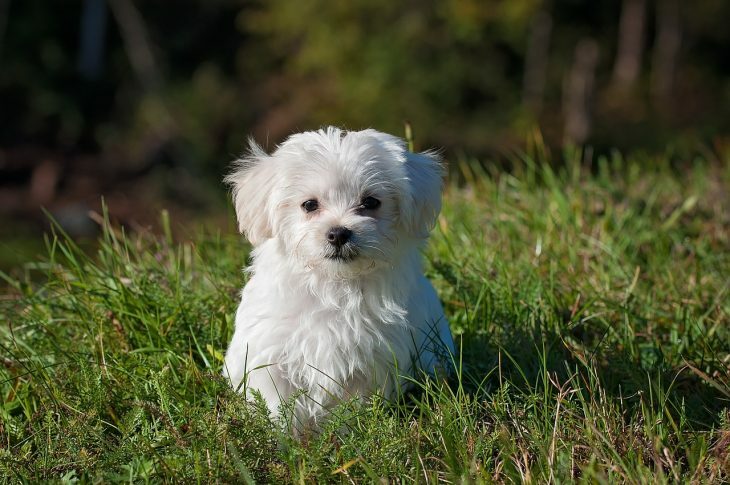 Additionally, the company provides several ways for dog owners to fit its policies into their budget. With a few tweaks of its website and policies, I think this company is one that may surprise us in the future. Great read and very informative! Thank you for sharing with us!